Less than a week after finding out its season was cancelled following a fight in the stands at the Southwestern Conference Championships, the East St. Louis boys team was granted an interim return to the track on Monday morning after the East St. Louis school board reversed a previous decision by the District 189 superintendent, per Fox 2 Now in St. Louis. But just hours later, at approximately 3:30 ET -- as first reported by KSDK News in St. Louis -- the Flyers once again learned they could not compete. Smith ultimately had the final say on the season, and nullified what the school board hoped would be a lessened punishment for the student-athletes who were not involved in the original brawl. With the state championships around the corner from May 24-26, rosters were due into sectional meets at the end of the day Monday. The Illinois sectional qualifying meets are scheduled for Thursday and Friday. 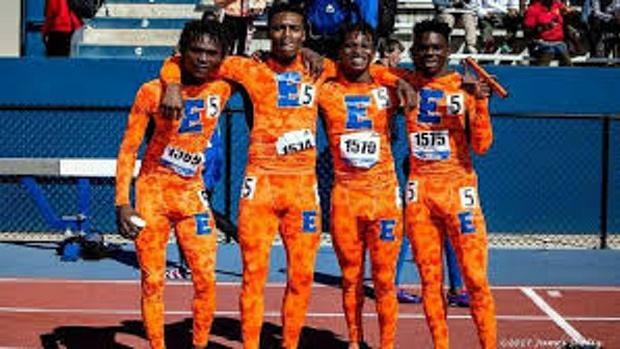 The East St. Louis boys program, a team that historically challenged for team titles and earned a state championship trophy as recently as 2016, will not get to compete in Class 2A in 2018. It erased what many hoped was a last ditch effort to save the season. Supporters and student-athletes of the team met at the East St. Louis School District 189 office on Monday. On May 8, a scuffle took place in the stands that allegedly included three athletes on East St. Louis's boys' team. Officials with the Flyers program on Monday said "only three members were involved in the brawl" and said they believed it was unfair to punish the entire team for the altercation. A letter was even submitted to the school district on Monday declaring that "the district is violating the student's code of conduct by canceling the track season. No students were allowed due process as outlined in the student handbook."